Knuckles the Echidna is a 17 year old Echidna native to the planet Mobius. From the age of three, Knuckles was trained and raised by his father to assume the mantle of Guardian of Angel Island. Within the last few years, Knuckles has discovered that he is not the last of his kind, and that threats from all over Mobius are threatening his home. 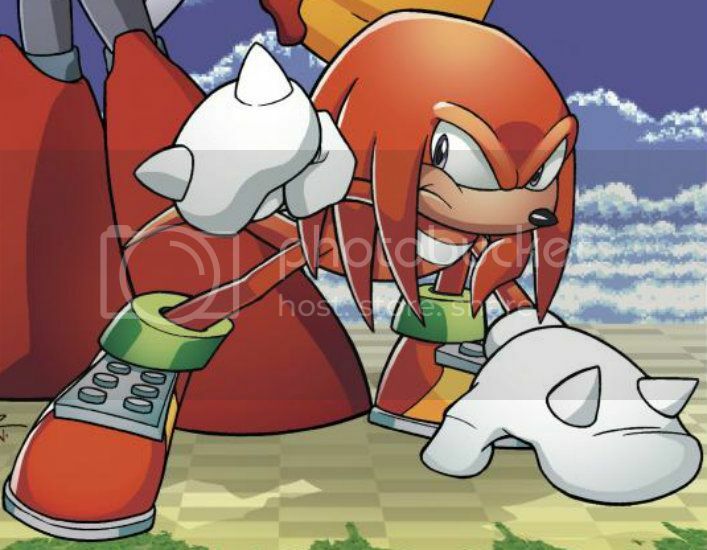 While originally operating alone, Knuckles has developed friends and teammates over time to assist him with his role of protecting the Angel Island. He has also taken it upon himself to assist those on the surface of Mobius in fighting the forces of Dr. Eggman. Knuckles is the last Guardian protecting Angel Island.